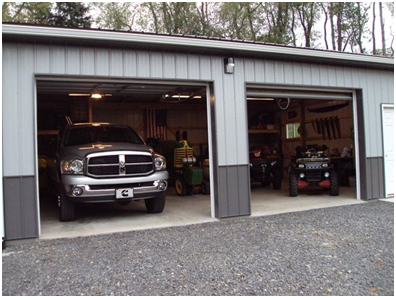 Here are five more tips and hacks to make the most of your garage. It is so easy to damage a bumper, wheel arch, or worse, to smash a light when reversing or driving into your garage. Make your life easier with a very simple hack. Cut a pool noodle pot in half and attach it to the wall in your garage in those ‘at risk’ areas. So, that is both the wall and the car protected from those annoying little bumps and scrapes. A tennis ball hanging from the ceiling also works to give you a clue when you are in the right place (or not!). We all have days when we forget to turn off lights or wonder if we locked the door properly when we left the house. Forgetting to shut or lock your garage can be costly, especially if you have lots of expensive tools stored inside. For this reason, it is a good idea to invest in a sensor which will tell you if your door is left ajar. It is possible to build an alert using a sensor system and mobile phone. Your phone can be magically transformed into a remote control for your garage door using a handy app. Look for a bluetooth board and download an Android app, or use Raspberry Pi or Siri with an iPhone (http://lifehacker.com/5967715/open-your-garage-door-with-siri-and-a-raspberry-pi). Suddenly life just got a whole lot easier! Try organising your garage into different zones. This works especially well if you store a large variety of things in there. Never spend hours looking through boxes again! 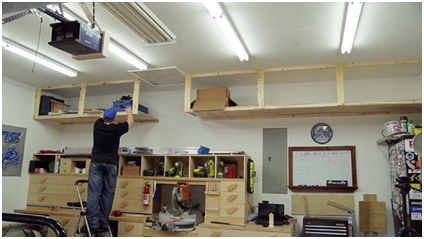 Divide the area into six or seven zones, add some handy garage shelving (https://www.garage-shelving.co.uk/), and putting things away and finding them later will no longer feel like a chore. If you have alternative parking outside your property or there is another reason why you don’t need to use your garage to park a car, you might consider converting the garage into something else. Do you need office space or maybe a home gym? A garage works exceptionally well for either, and kitted out properly, will look just like the real thing.